Court: Emanuel's Name Can't Be On Mayoral Ballot : The Two-Way He's expected to appeal the decision to the state's Supreme Court. At issue: whether he was a Chicago resident while working as chief of staff at the White House. "Rahm Emanuel was thrown off the ballot for mayor of Chicago today by an appellate court panel, a stunning blow to the fund-raising leader in the race," the Chicago Sun-Times reports. 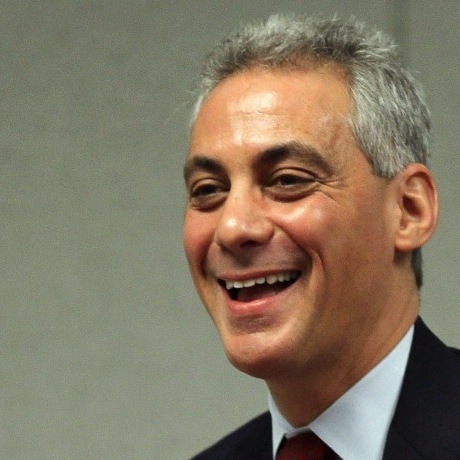 Former White House Chief Of Staff Rahm Emanuel, now a candidate for mayor in Chicago. The Tribune is on the story as well. Emanuel, a former congressman from Chicago who was President Obama's chief of staff until late last year, is expected to appeal to Illinois' Supreme Court. The legal issue is whether he remained a resident of the city while working in the White House. Frank will have much more on this over at It's All Politics.